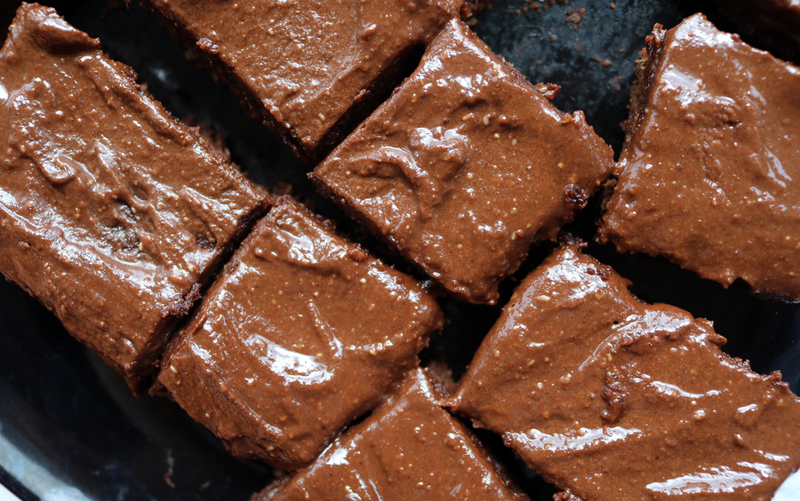 If you haven't tried Deliciously Ella's outstanding Sweet Potato Brownies, you haven't lived. 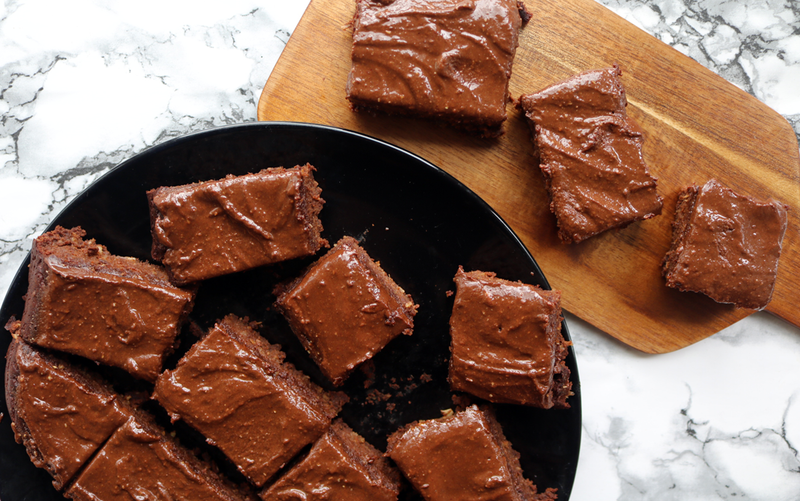 This is the new and improved recipe that she released late last year and it's by far the best sweet potato brownie recipe that I've tried so far (and I've tried a fair amount of them!). When Ella Woodward brought out her debut cookbook Deliciously Ella, back in 2015, I purchased a copy like everyone else and loved the vast majority of her recipes. In fact, it's one of my most used cookbooks and my copy is starting to look a little dog-eared around the edges! Like many though, I couldn't quite get the original Sweet Potato Brownie recipe to work for me - they always came out a little too dry or just not right texture-wise, so I was thrilled when I heard that she'd re-released it online last year with some changes. 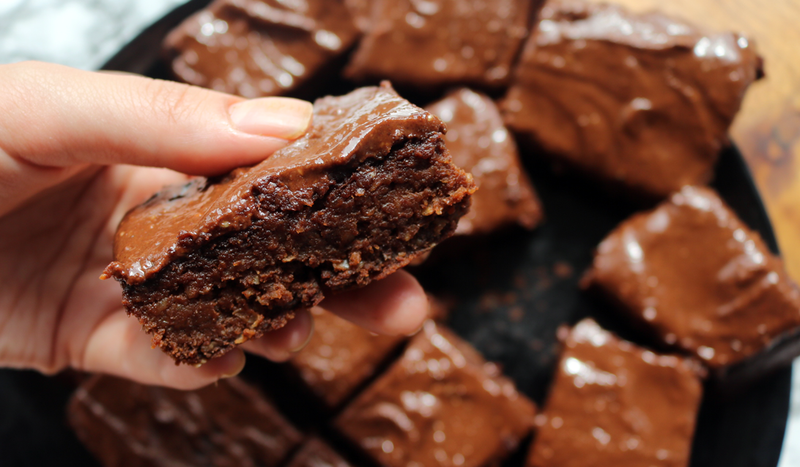 Her new and improved Sweet Potato Brownie recipe is the best one that I've used by anyone so far, and these brownies come out absolutely perfect every single time. They are incredibly fudgy, with such a rich, chocolatey flavour and best of all, they are so easy to make! You would not believe that they're dairy-free, gluten-free and refined sugar-free either, and they're suitable for vegans too. Be warned though - these brownies are seriously moreish! Peel the Sweet Potatoes, cut into small chunks and place in a steamer for around 20 minutes until they're nice and soft. If you don't have a steamer, you can boil them instead for the same results. Drain away any excess water and put them into a food processor, adding in the pitted Medjool Dates. Whiz for a minute or so until the texture is smooth. Place all of the remaining brownie ingredients into the food processor and whiz until everything is thoroughly combined. Pour the mixture into a greased brownie tin and place in the oven. Bake for around 45 minutes, until you can pierce the brownie with a fork and it comes out dry. Allow to cool for a further 10 minutes and then transfer whole to a plate or wire rack to cool down completely. While the brownies are baking, you can make the frosting. Just add all of the frosting ingredients to a small saucepan and melt over a medium heat, stirring to combine everything. Once melted, pop the pan in the fridge for another 15-20 minutes to allow the frosting to firm up. Once the brownies are fully cooled (if they're still warm the frosting will melt again! ), spread the frosting over and smooth out with a spatula to get an even coating. 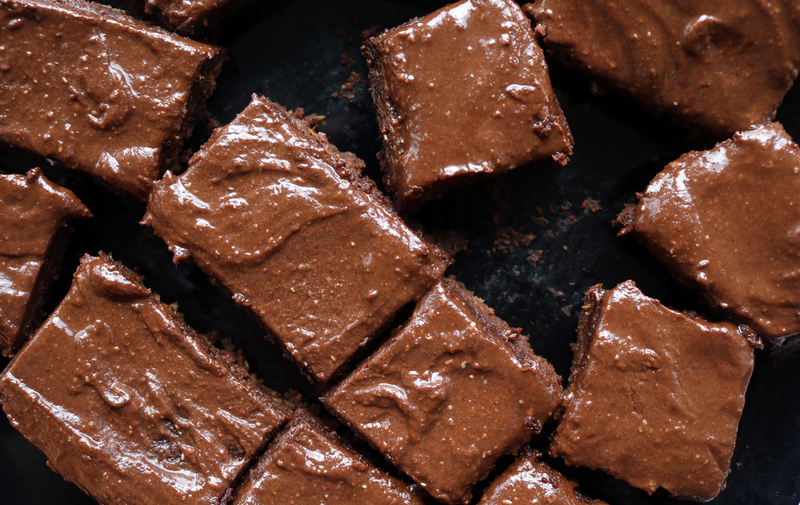 Cut the brownies into squares and enjoy! These brownies will keep for about 5 days in an airtight container but I've struggled to have them around that long in my house! N.B - a word about buying dates. A lot of dates that you purchase in the supermarket come from Israel, but if you wish to boycott their products like I do for ethical reasons, you can easily find dates in Asian supermarkets if you have one near you or try a fair trade retailer. I purchase my dates from Yaffa which supports Palestinian farmers. You can find out more about the Check The Label campaign here. This isn't sponsored - it's just something that I feel very passionately about and I like to share the info for anyone reading this who may not be aware of the issue. 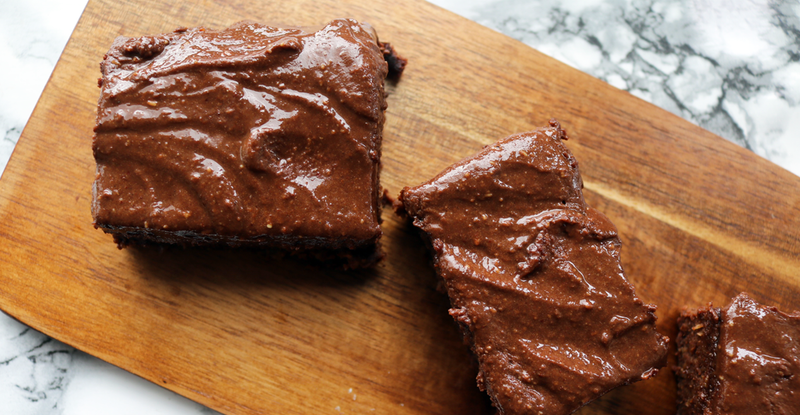 Have you tried making Sweet Potato Brownies? I love Deliciously Ella's first cookbook, I haven't bought it but I borrowed it from the library. Now I think I should buy it because it's so good. Haven't tried the brownies recipe but the improved version seems well worth a try.